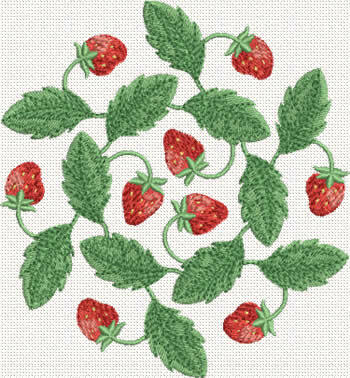 A fine strawberry machine embroidery design. The design is also available as a part of the SKU 10353 Strawberry Machine Embroidery Designs Set along with other 7 embroidery designs. When you buy the set you save 38% off the price of the designs when purchased separately.